Good morning! Today I've got a new-to-me brand to share with you - Silly Bee's Chickadees! I have admired this brand from afar previously, and I am so excited that I was able to try these out. 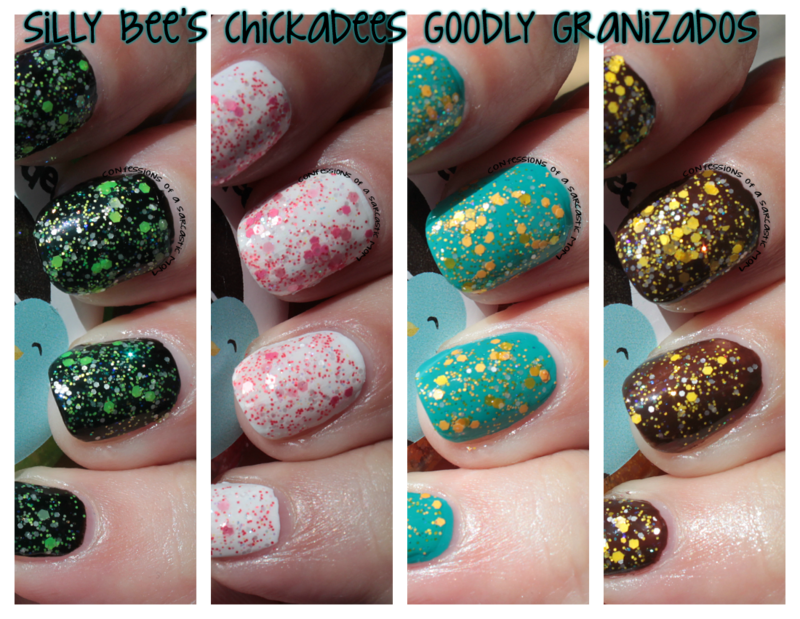 I have the Goodly Granizado collection, packed with glittery goodness! I was going to do my regular photos of this collection, until I realized 2 of them just didn't work. I ended up using a sunlight shot and a shot with the flash on my camera. I tried swatching this collection with no base color, but that turned into a bad, bad thing haha! So I retraced my steps and tried to make a base color that would highlight the glitters. I had to research what Granizados were - they are a icy slushy treat served in Central and South America. I love snowcones, and they sound just like them! For being pink, I really love Sandia Granizado! I wore it over white, and it reminds me of peppermint! 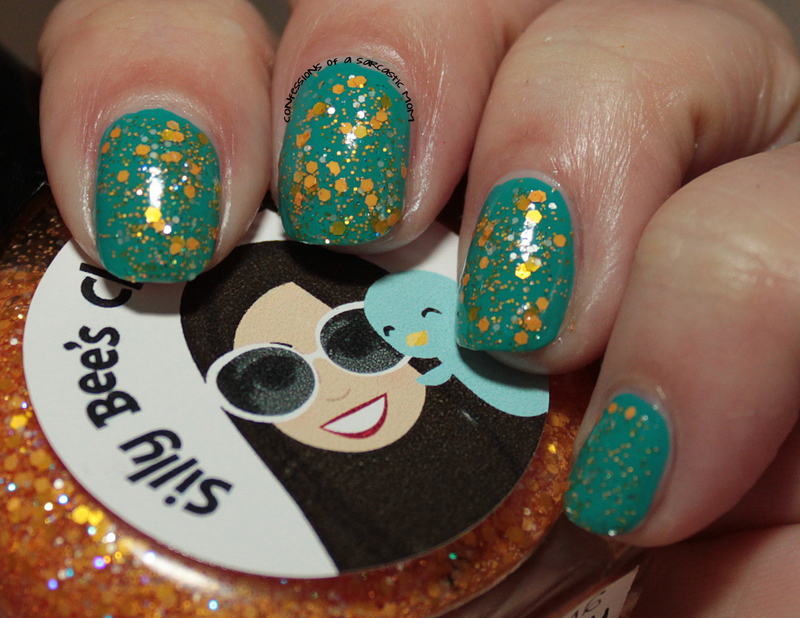 Because Naranja Granizado is orange, I paired it with my other favorite polish color - teal! There's just something about orange and teal together that makes me happy. 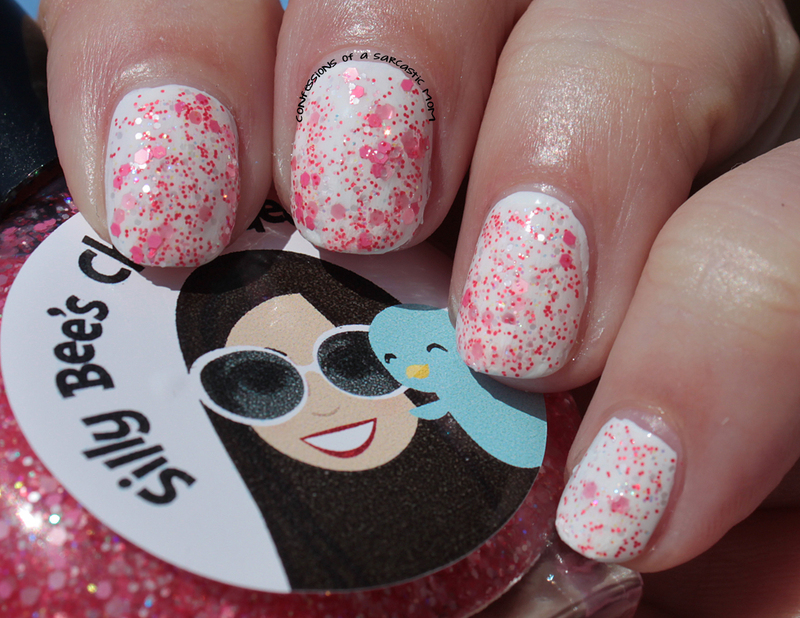 And this is my favorite of the glitters, of course. Last, but certainly not least, is Pina Granizado! This is a bright, banana yellow. I chose to showcase it over a deep, deep brown. So what do you think? 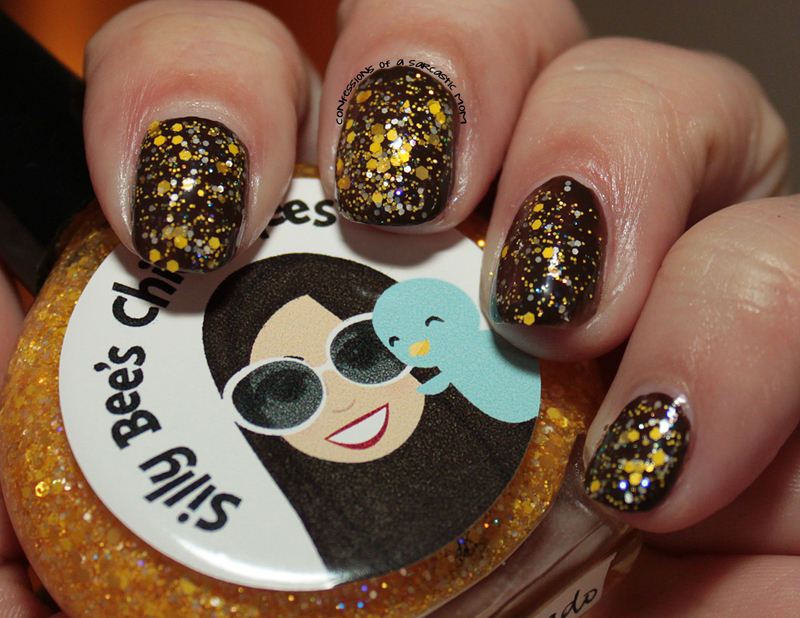 Do you have any Silly Bees Chickadees polishes? 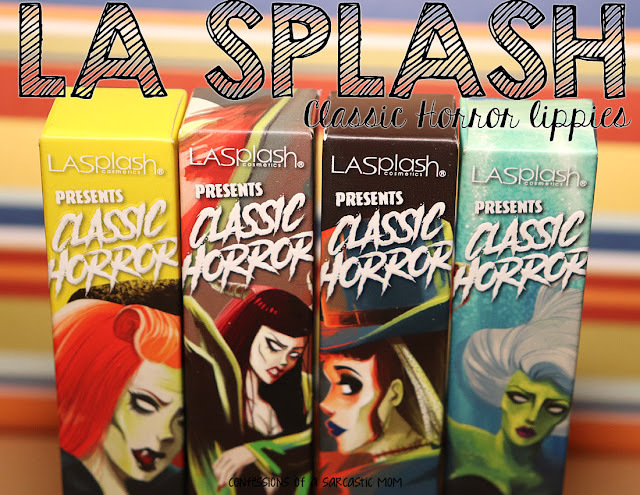 These are available in the Etsy store for $10 each or $40 for the set!